"Today, the formative debate in Islam is not about the basic theological framework or the most fundamental ritualistic practices of the Islamic faith. Rather, the inventive dynamics of the faith have been about the import, impact, and effect of Islamic norms in relation to new historical contexts and emerging conceptions and meanings. For instance, since the Qur’an (the holy book of Islam) was revealed, for centuries, Muslims have memorized and recited the same words and verses about compassion, mercy, and love. The words have not changed. But what did mercy, compassion, or love mean fourteen hundred years ago, and what do they mean today? It is the numerous contingencies that mediate and qualify language and meaning, which constantly shift and mutate. However, it is not just language that develops, but knowledge, perception, comprehension, and interpretations of reality shift as well..."
EXCERPT: "...It is fundamental to my faith as a Muslim to understand that although God is eternal, immutable, and unalterable, at the same time, creation (or nature), selfhood, and epistemology are not set in time and space. Creation, selfhood, and epistemology are constantly defining and redefining one another. "Without overstating theoretical abstractions, my point here simply is: even if the basic dogma and rituals of Islam remain unaltered for centuries, whether consciously or unconsciously, Muslims are forced to constantly restate, re-articulate, and rephrase their religious tradition. And the debates attempting to come to terms with the various conceptions, meanings, and implications of the system of beliefs and convictions generally identified as Islam will never come to an end. In essence, consecutive generations of Muslims have had to struggle with what Islam means to them, and as importantly, with what Islam means to the world in which they live. Generations of communities of shared meanings, or epistemologies had to wrestle with fundamental normative questions such as what does God want from us and for us, and what follows from the belief in a loving, merciful, and compassionate God?..." Abstract: There is a serious problem with arguing that God intended to lock the epistemology of the seventh century into the immutable text of the Qur’an, and then intended to hold Muslims hostage to this epistemological framework for all ages to come. Among other things, this would limit the dynamism and effectiveness of Divine text because the Qur’an would be forever locked within a knowledge paradigm that is very difficult to retrieve or recreate. 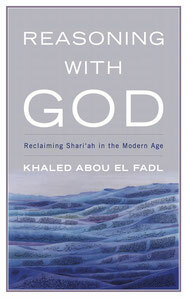 The author argues for the recognition of three critical categories in Islamic theology: haqq, ma‘arifa, and hikma. While haqq connotes the objective and constant truth, it is not reachable without hikma. Hikma is the balance (mizan) of truths in every historical moment with all of its contingencies. Ma’arifa is the epistemology or the way to searching the objective and constant truth as well as the search for the hikma appropriate for each stage in human consciousness. The author contends that it is contrary to the very nature of a merciful and compassionate God to leave Muslims with a Revelation that is not fully equipped to deal with the altered states of consciousness, and perceptions that are inevitable in every stage of human development. EXCERPT: "...The important point here is that this innate relationship between the principles of natural justice and Shari’a has been a firm and unwavering part of Muslim consciousness from the inception of Islam to the current age. However, to what extent this innate relationship is understood and absorbed, and how this relationship is expressed, diverges greatly from one historical context to another. So, for example, how the Egyptian revolutionaries or the Shaykh of Al-Azhar express or attempt to assert this relationship is deeply influenced by the prevalent epistemological categories and ideas of their age. Hence, it is not at all surprising that the ways in which contemporary Muslims express their understanding of this relationship will be heavily influenced by Western thought and discourses. This does not mean that the relationship between the principles of justice, human dignity, or the ethical virtues at the heart of human goodness and Shari’a is a Western transplant or the product of Western influence. This does not mean that all Muslims recognize the relationship between Shari’a and the principles of natural justice and goodness. Indeed, puritanical movements such as the Wahhabis go to considerable lengths to deny the existence of this very relationship. 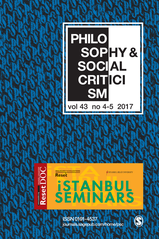 However, once the puritanical movement shrinks or retreats, the rootedness of humanistic values in the Shari’a tradition enables Muslims who wish to remain faithful to the Islamic tradition to reclaim these values, but the process of expressing these values is invariably done in the language of the age..."